Psychologists often work with vulnerable individuals in sensitive situations. An important step in becoming a mental health professional or consumer of psychological services is to be aware of the ethical issues faced by psychologists. If you are providing psychological services you are obligated to remain informed regarding current ethical standards or issues. If you are a consumer of psychological services, the professional should keep you informed regarding your rights. If you find yourself in a situation where ethical standards are being violated or have doubts regarding the correct course of action, consult with a colleague. The faculty of the College of Saint Benedict/Saint John's University joint Psychology Department have identified several key ethical issues with which we believe our students should be familiar. This list is not complete and students will learn much more about ethical issues while going through the psychology curriculum. Near the end of their study, students are asked to demonstrate knowledge of these ethical issues as they apply them in their senior integrative experiences. COMPETENCE: Consumers of psychological services have the right to expect that the practitioner is competent to provide the services offered. Generally, competence is established through training, experience, supervised practice, or a combination of these activities. Any practitioner should be willing to discuss their competencies with any consumer of services and be ready to make referrals to others when an administration of tests like the MMPI or the Wechsler intelligence scales requires understanding of the intricacies of both administration and interpretation. Graduate course work and many hours of supervised practice are needed to acquire the necessary skills. The practitioner is also obligated to keep skills up to date with formal course work, reading, or other professional development activities. CONFIDENTIALITY: Psychologists and consumers of psychological services are frequently concerned about the issue of who is allowed to see and use information about individuals generated during research, consultation, or therapy. In most circumstances private information must be kept confidential, that is, it is not revealed to others. However, there are important exceptions to this, mandated by state law and court decisions, and it is important to be aware of them. These exceptions tend to concern situations in which information that is normally confidential can be used to prevent harm to another person. For example, if a client describes abusive behavior toward their children, the therapist is mandated to file a report with social services. Clients, themselves, need to be aware of both the requirements and the limits of confidentiality. INFORMED CONSENT: In their roles as researchers, therapists, and consultants, psychologists offer a variety of services. Informed consent is a central principle in these actions. This means that consumers of psychological services have the right to know precisely what services are being offered, what benefits can be expected, and what risks are involved. After being so informed, consumers then have the right to refuse the services or terminate participation. In research, therapy, or other activities accompanied by some identifiable risk, consent needs to be in writing. When individuals, for some reason, can't give their consent, a surrogate or guardian may be allowed to consent for them. RELATIONSHIPS WITH VULNERABLE INDIVIDUALS: Psychologists frequently interact professionally with clients who are less powerful than themselves because of their age, species, emotional insecurities, intellectual ability, legal status, or other attributes. As a general rule, psychologists are expected to act in the best interests of such individuals, to avoid taking advantage of the vulnerabilities of clients, and to treat animal subjects humanely in accordance with accepted practice. A romantic relationship between a therapist and client is one way that this ethical principle may be violated and is one of the most common causes of lawsuits against therapists. A GENERAL CONCERN FOR ETHICAL PRACTICE: The issues outlined here provide a broad outline of ethical practice in psychology. Specific courses will elaborate on these issues and help you identify situations in which they apply. However, each individual, whether a practitioner or consumer of psychological services, needs to be aware of the role that ethical guidelines play in directing the application of psychology to the problems of the real world. We hope that awareness of specific ethical issues in psychology will broaden your view of the meaning of ethical behavior as it applies to any endeavor. 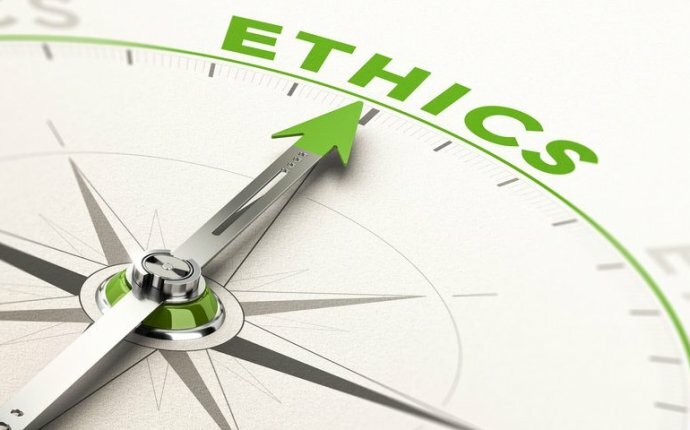 Whether you go into politics, education, business, manufacturing, law, medicine, or any other vocation, you will need to take the time and effort to examine what you are doing in terms of its ethical implications and have the courage to confront unethical behavior.